In 1871 General George Crook enrolled 50 White Mountain Apache men to serve as scouts for his army during the Fifteen-Year Apache Wars. These wars were ended with the surrender of the Chiricahua leader Geronimo in 1886. 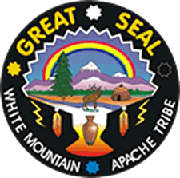 Because of the Scouts’ service to General Cook during the Apache Wars, their tribe was able to maintain a large portion of their homeland as the White Mountain Apache reservation. In 1922, the U.S. Army left Fort Apache and in 1923, the Bureau of Indian Affairs’ Theodore Roosevelt Indian Boarding School was established on the site. The school was designated a National Historic Landmark in 2012, as a component of Fort Apache Historic Park. It is still operating as a tribal middle-school facility. The White Mountain Apaches began to progress as a community and ultimately created their own constitution and established a tribal council that oversaw all tribe owned property, local businesses and governance in 1936. 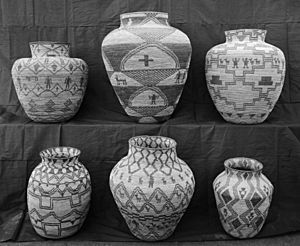 According to the Arizona Census Bureau, the Fort Apache Indian Reservation, which is located in Navajo County, is populated by small communities. North Fork, Whiteriver, Fort Apache, East Fork, Rainbow City, Cibecue, Hon-Dah, Mcnary, Turkey Creek, and Seven Mile are the communities that comprise the Fort Apache Reservation which has a total population of 22,036. Fort Apache Indian Reservation Facts for Kids. Kiddle Encyclopedia.